iR2772-S3 provides RS232 port, user can monitor the status of the system via their own program. 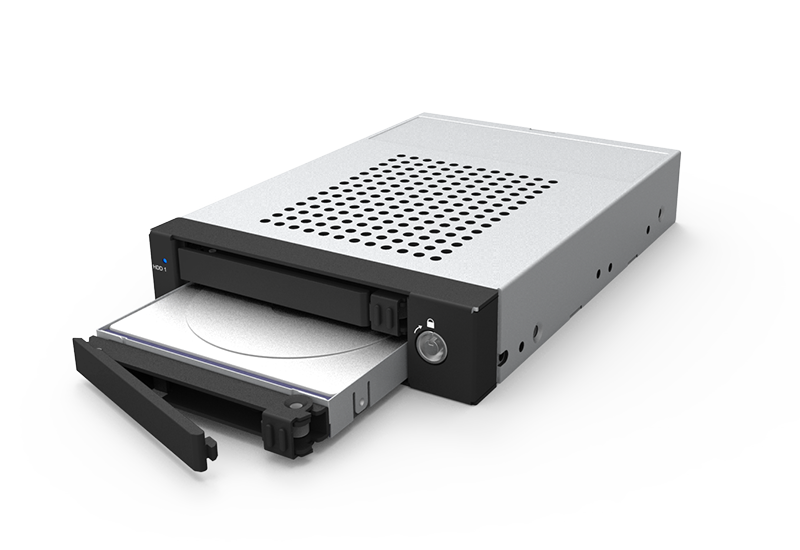 RAIDON InTANK iR2772-S3 has a patented design that allows two 2.5” SATA drives to be fitted into one 3.5” drive space! 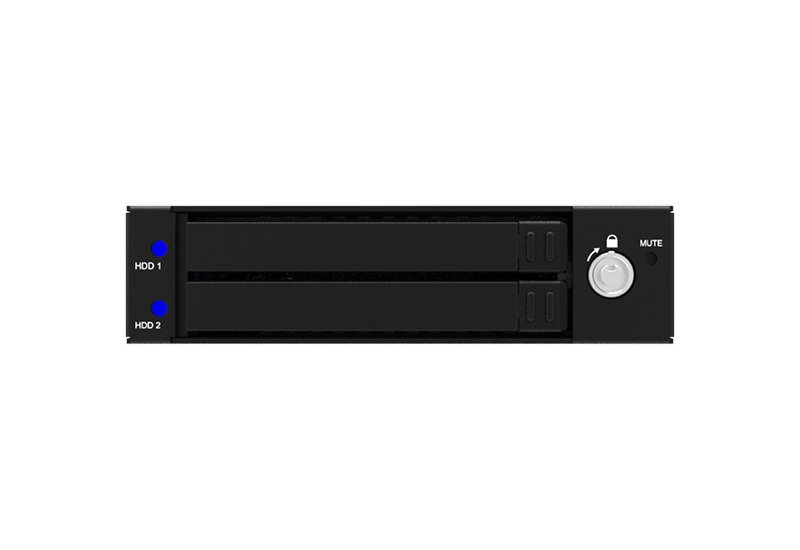 It’s equipped with optional RAID 0 to enhance the speed of transfer compare to a regular hard drive or switch to RAID 1 for an efficient and securer data backup. 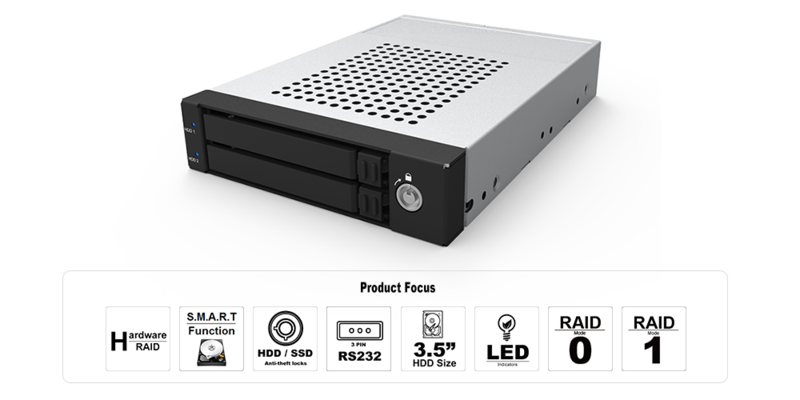 RAIDON iR2772-S3 internal RAID module supports SATA III 6.0 Gb/s host interface and SATA 22 pin power supply; the connector’s location exactly as the same as a 3.5” hard drive. 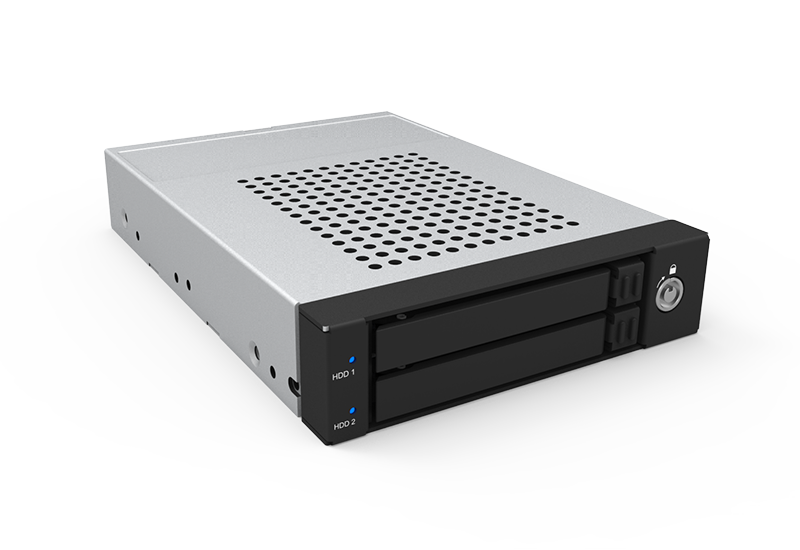 Thus, it is not necessary to install any other brackets but just install the iR2772-S3 inside to existing operating system and then the system will be upgraded as a RAID storage! iR2772-S3 storage RAID enclosure product now supports the S.M.A.R.T (Self Monitoring, Analysis, and the Reporting Technology) feature. 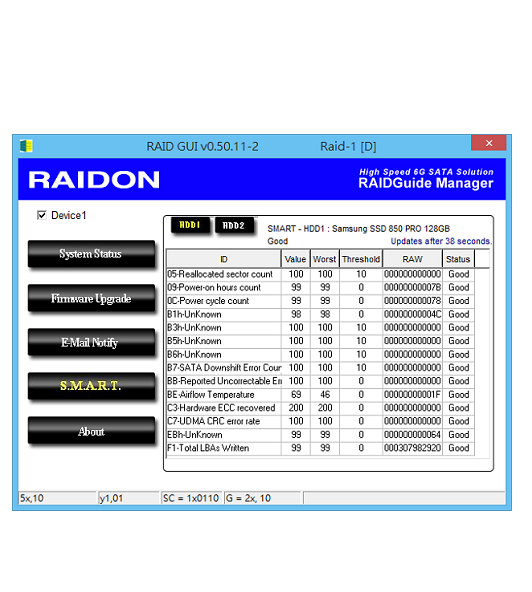 You just have to open this RAIDGuide Manager Utility, you then can enjoy using it to know the HDD quality status, and you could even to replace any HDD which is with critical quality level in advance to help an even better protection for all your data. Just set iR2772-S3 to RAID 0 mode and you can get the better and faster data transform ate than one 3.5” hard drive does. 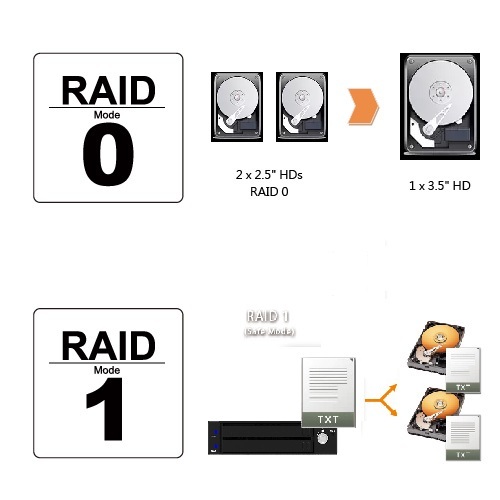 When using RAID 1 mode (mirroring), the data will write to two hard drive automatically to keep the data safe. If one hard drive failure, just replace a new hard drive (same capacity or bigger) without shutting down the system to keep the system working 24hr. iR2772-S3 will start to rebuild the data from the original hard drive to the new one after the failure hard drive is replaced. 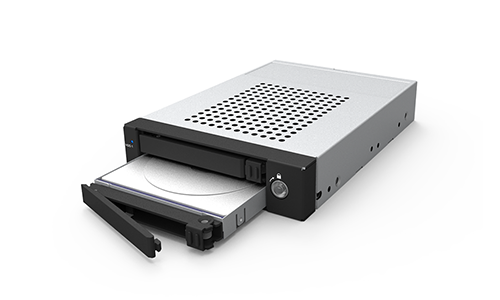 Install iR2772-S3 to the floppy or standard 3.5” hard drive slot, your system will become the one with RAID function. If you want to upgrade your system with RAID function but your system don’t have other free space. iR2772-S3 will be the best solution you can find! 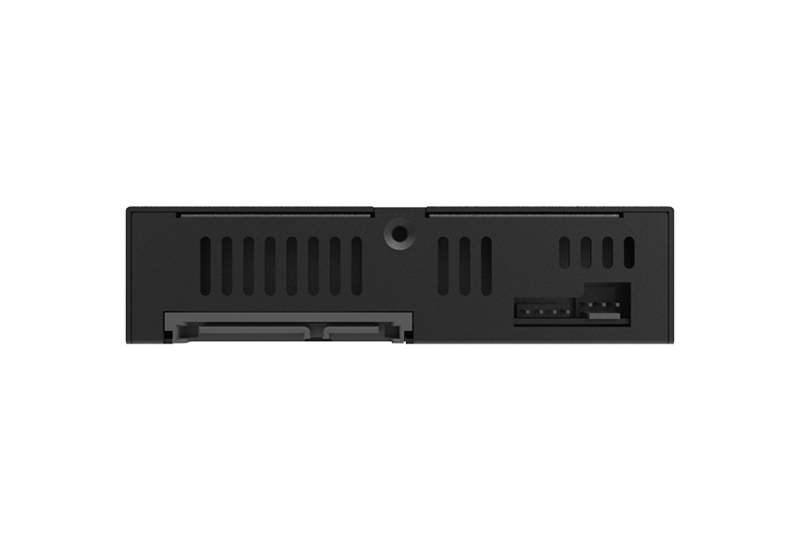 iR2772-S3 comes with two RAIDON’s removable screwless trays. It not only makes user easy to install the hard drives to iR2772-S3, but change the failure hard drive easily. 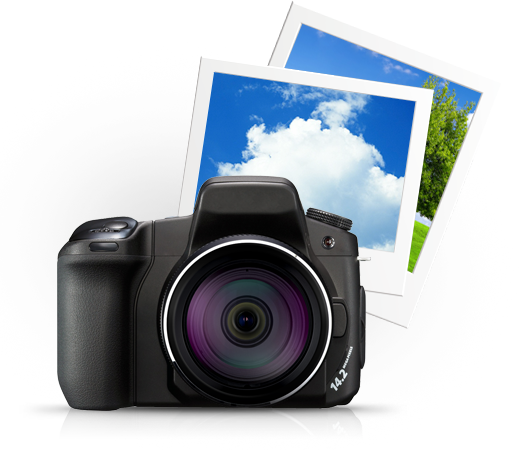 Makes the system faster and keeps the photo data more safe. 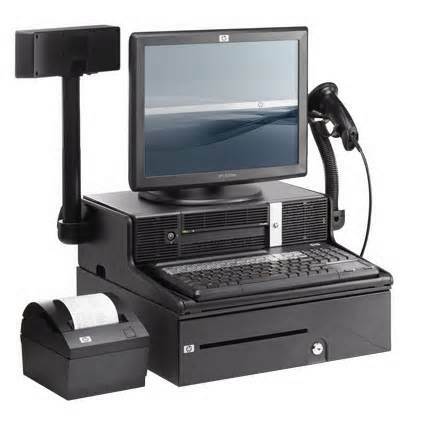 iR2772-S3 can be easily used in a workstation for photographers. 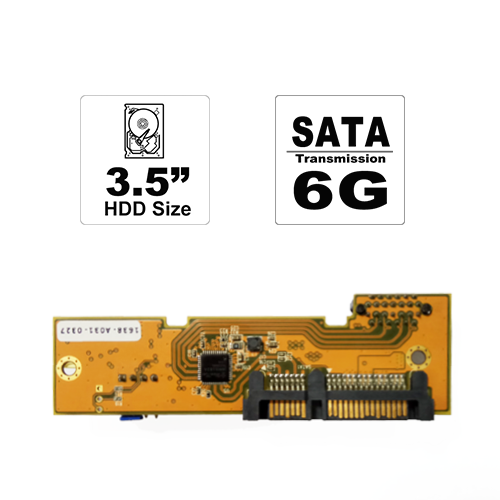 Using two solid state drives, iR2772-S3 can provide faster performance than hard drive, it will be faster for photographer to run Photoshop, Lightroom or other photo-editing software. By using RAID 1 (mirroring) mode, the RAW files will have a copy automatically when it be save into iR2772-S3. Photographer will be no longer to worry about the data loss caused by the hard drive failure. 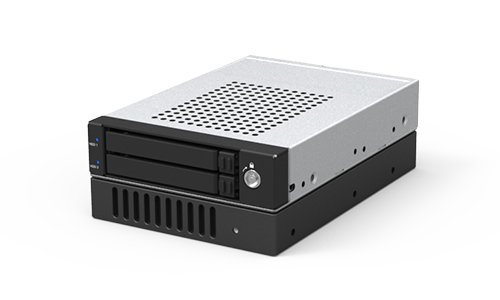 Install your operating system in one solid-state drive to speed up the system performance and use iR2772-S3’s RAID 1 mode to protect accounting system database. Small and medium business will no longer to worry about the unnecessary data loss of accounting system database which caused by unexpected hard drive failure. For high-speed production line, the most worried about is the system failure. It will shut down the production line and cause the money loss. 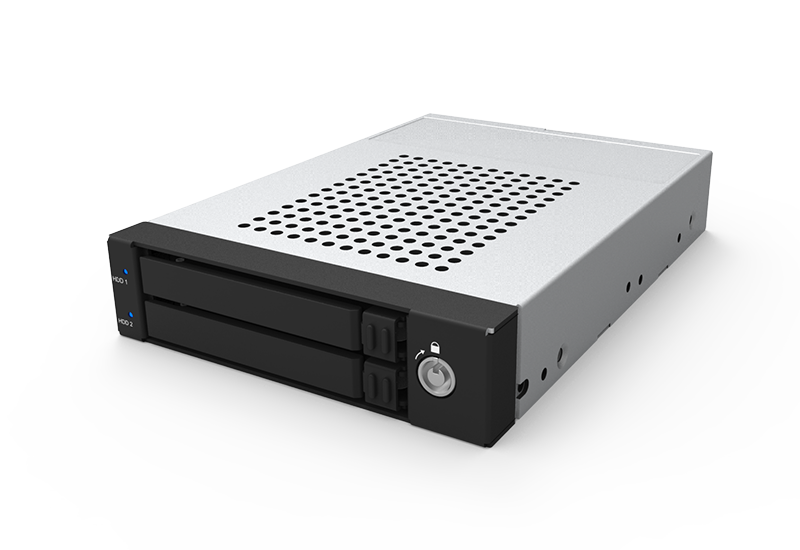 By using iR2772-S3’s RAID 1 mode, you can keep the production line working 24hr and no worry about the system shut down caused by the unexpected hard drive failure. iR2772-S3 is the most cost-effective solution. Q1Under the mirror mode (RAID 1), what will be the system’s total storage capacity when adding a brand new hard drive? 1. The total storage capacity for iR2772-S3 is determined by the storage capacity of the primary hard drive installed during the initial usage. 2. The storage capacity will not increase after initial installation even when place a brand new hard drive with larger storage capacity. Q2Why does the error message appear when I installed the second hard drive? The storage capacity of the second hard drive must be larger than the first hard drive. Otherwise, iR2772-S3 can not rebuild the new hard drive. Q3What will happen if we turn off the computer’s power while iR2772-S3 is still executing data auto rebuilding? 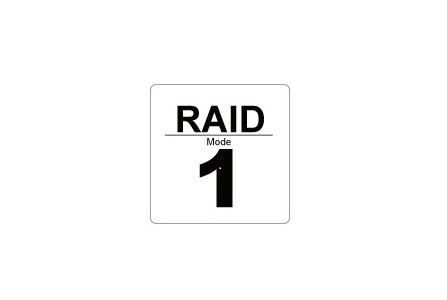 The mirror mode (RAID 1), if the power is out of the auto rebuilding process, the controller will remember when completion percentage of the auto rebuilding process and resume the rebuilding process when the power is back on. Q4Is it possible to lose any part of the data during the data auto rebuilding? The data auto rebuilding function will copy data from one sector to another sector. Technically speaking, the data will not be lost during the auto rebuilding process. However, if the original hard drive is detected with bad sectors during the rebuilding process, iR2772-S3 will make hypothetical duplication instead of treat the bad sectors as hard drive failure. Therefore, the data stored in the bad sectors could potentially be lost during rebuilding.